Dr. Alex Gee is joined by Hon. Rev. Everett Mitchell, Dane County Circuit Court Judge and Pastor of Christ the Solid Rock Baptist Church. They candidly discuss the justice system and ways that we can support and raise up everyone in our community. Hon. Rev. 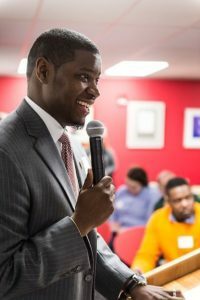 Everett Mitchell shares his personal story and how it inspires his passion for social issues, such as poverty, war, incarceration and immigration.